Everyone should be outside frolicking around in glorious autumn, so I’ll make this short today. Don’t you hate it when someone talks about the best, most wonderful, stellar book that’s old and impossible to find? They imply the best books are old ones and you start to feel like you’ll never get your hands on the real greatest books of all time. Well, that’s what I’m doing today. 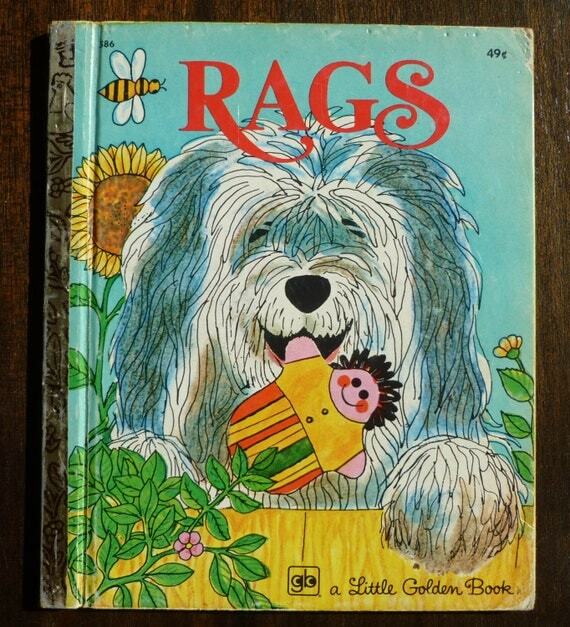 I can’t help it, because a beloved book around here is Rags. It’s about a shaggy dog who is huge but quite the gentle giant. He is adopted by a shopkeeper and his wife to defend their grocery store from burglars. The shopkeeper loves him, but his wife is quite disappointed by his affectionate and skittish character. Something happens that brings the fierce watchdog out of Rags and makes both the shopkeeper and his wife appreciate Rag’s loyal and loving nature. If you can get your hands on it, I highly recommend it. My husband loved it as a child and my kids love it now. This is Day 9 of 31 Days of Picture Books. To see the rest of the series, go here. To read more great 31 Days series on the other blogs participating, go to The Nester.